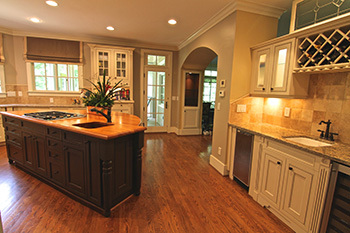 The Marta Mitchell Interior Design team has worked with many clients on home renovation and home remodeling projects. When considering a renovation to your exiting home, there are quite a lot of things to consider and our team can help you work through those decisions easily. Remodeling all or part of your home is a bit more complex than an interior decorating engagement. Oftentimes, home remodeling involves evaluating existing structure and space, in additional to all the style elements.